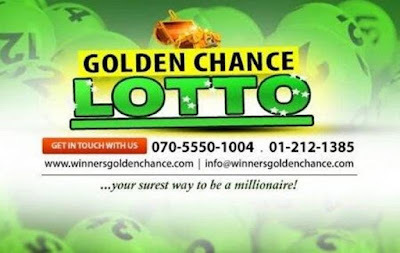 Winners Golden Chance Ventures Limited, has created an online platform where users can play their favourite lotto games. They are Nigeria’s leading lotto company. 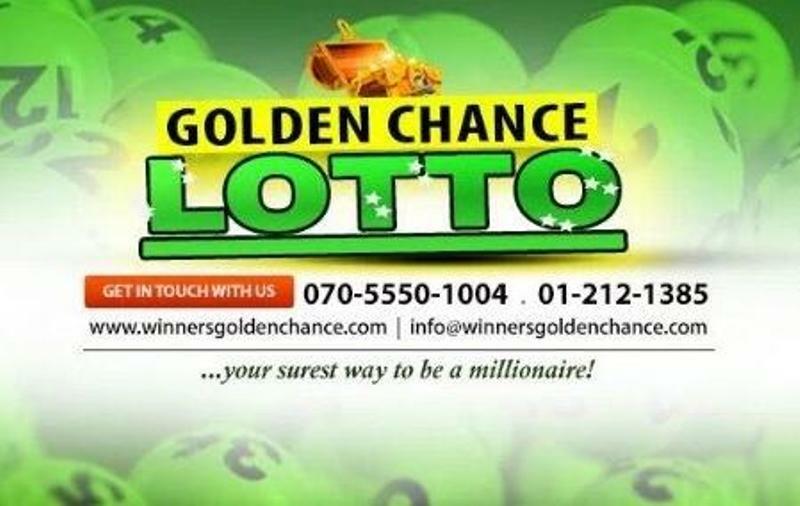 Playing lotto online has been made possible through Golden Chance lotto, which currently operates with over 11,000 Point Of Sale (POS) terminals in Nigeria. In order to play lotto online you can visit and register on the Golden Chance Lotto main website www.winnersgoldenchance.com and registration involves confirming your mobile phone number which will enable you play lotto with your mobile phone. Funding the account with which you will play the game is the next step if you want to play on line. For the stakers of golden chance lotto, as long as you play, even if you don’t win, at the end of the month you get something. 3 DIRECT: it means you need to get exactly 3 numbers out of the 5 winning numbers. Example when you play 02-12-22 and it appears to be among the winning numbers then you have won yourself a game. It is one of the highest paying game plans but also the hardest to win. Two (2) Sure: The two(2) Sure method promises a win only if you play two numbers which you feel might be among the winning numbers and either or both of those numbers are among the winning numbers. Example if you play either of 28-67 or 32-70 and one or both of the two of them comes as the winning number, you’re a winner. What people don’t know is that 3 direct gives more money than 2 sure but it is harder to win. While 2 sure gives less money but is easier to win. This is done by putting one number up against other numbers. Example, you can stand 1 number against 10 numbers. There are more possibilities of winning with this but the outcome is poor. Here the stakes are high in this method, but so are the winning possibilities. It means combining few numbers and expecting to get 2 numbers inside the winning numbers that is the only way to win in permutation and you can perm up to 10 numbers. One thing to remember about permutation is that it is the best option when you are expecting to Increase the staking price and at the same time increasing the winning chances. The more number you perm is the more risky it becomes. It is advisable to stick to 3 direct and 2 sure when looking for big bucks. The Banker method involves having one single number which you are convinced will come out among winning numbers and you if don’t want to lose the game, you can play one single number though it doesn’t give much money. Who can play Winners Golden Chance Venture Lotto? Click Play to finally register bet. Or you can go to their Point Of Sale (POS) terminals centers and place your bets. Golden Chance Lotto results can be checked online on their website or directly on your phone. To check on your phone, all you have to do is simply buy the scratch Card and follow the instructions at the back of the card. Scratch off the covered area to find the PIN, then text the PIN number to 32240 for Zain and Glo subscribers. For MTN, text PIN to 0703 0000 280. After having done this, a confirmation will be sent to your phone and you will start receiving draw results as soon as draws are made. How to play golden chance lotto and check winning numbers should be much easier after reading this. Best of luck in your endeavours! It tastes correct, there is a massive bowl Cla Safflower Oil just for me, so why reflect onconsideration on the effects it's far having on my weight trouble. Combine with looking tv it's miles deadly to any food regimen.